Katharine plays a leading role in promoting and developing the study of Chinese in schools in England. This work has been made possible by the IOE Confucius Institute and 45 Confucius Classrooms – supported by Hanban in partnership with Peking University and Peking University High School. The IOE Confucius Institute is an outstanding example of successful international partnership working. Katharine is an experienced teacher and examiner of Chinese. She is the series editor of the textbooks for teaching Chinese for 11-16 year olds and wrote the specification for the increasingly popular Cambridge Pre-U Mandarin Chinese qualification. Katharine teaches on the IOE’s PGCE Language course, working with PGCE students training to teach Mandarin Chinese. She is the Strategic Director for UCL’s delivery of the Department for Education’s Mandarin Excellence Programme. 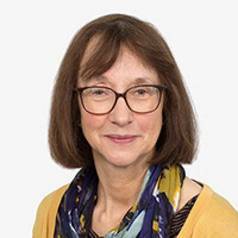 Her research interests centre around teaching and learning of Chinese as a foreign language in schools (most recent publication Mandarin Chinese Teacher Education; IOE Press), the notion of intercultural competence in Chinese and UK schools and globalisation and language policy. As Pro-Vice-Provost (East Asia), Katharine plays an important strategic role as a catalyst for UCL’s engagement in the region. Katharine received an OBE in the 2018 New Year Honours list for her services to Education.